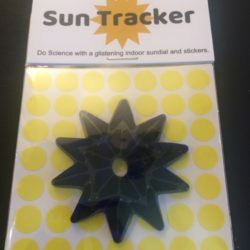 #1 Best Science Gift of 2018! 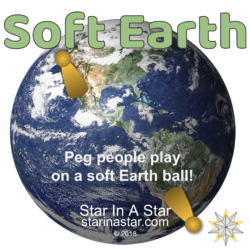 (Apparel) by Forbes Magazine – Space and Physics Writer Ethan Seigel (Starts with a Bang). Crisp and bright embroidered moon phases wrap this black fleece cap. Each image is placed to create a precise 360˚ model of the Moon’s orbit around the Earth. It’s beautiful and functional – a clever melding of art and science. It is scientifically designed to decode the Moon and its motions. 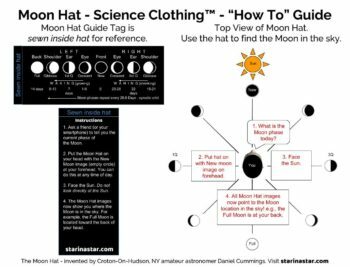 When you put on the Moon Hat you are wearing knowledge about the Moon. Plus, it’s gorgeous! And warm. The Moon Hat is the first hat with instructions sewn inside so you’ll always know the moon phase names and which order they go in. 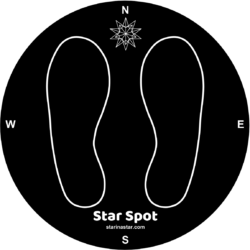 It’s a great way to get in tune with the Moon cycles and learn how the Moon moves. It’s for adults and kids alike – “one size fits most” – a stretchy adult medium. Kids love the fun design, parents and grandparents love the science. This hat is awesome! Super soft! Stylish and educational!! Very attractive and yet educational hat. Helps visualize how what appears as a “Half Moon” is actually called 1st Quarter or 3rd Quarter Moon. Well made with style! 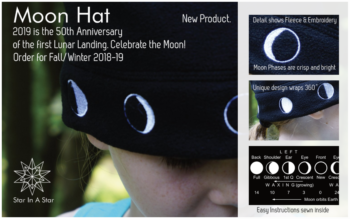 I love the moon hat! It’s super comfortable, and fits inside my jacket pocket. 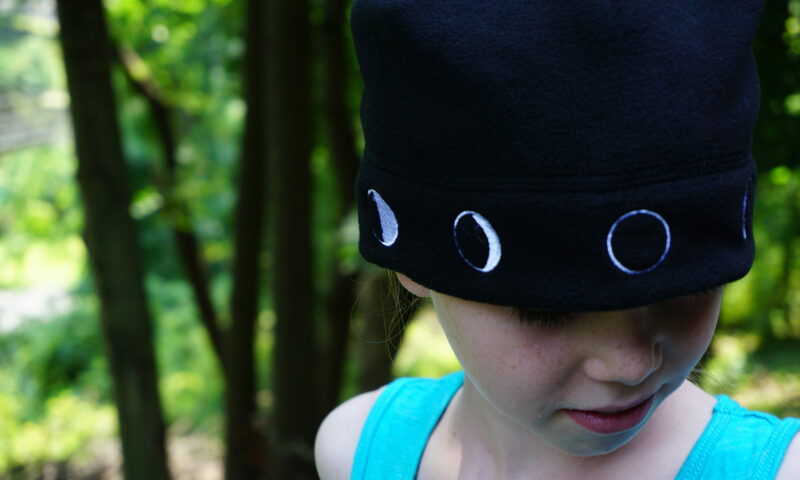 When I wear my moon hat, I’m more likely to tune into the cycles of the moon. I teach a New Moon Meditation class and love to follow the orbit of the Moon through time. The Moon Hat will help keep me aligned with the phase and current constellations the Moon is located in–very cool! This hat is soooo soft and luxurious! 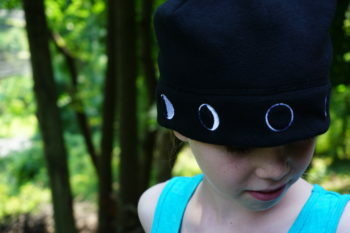 Phases of the moon (tape instructions inside hat) are clearly illustrated. Easy ordering. This hat is really nice — it keeps my head toasty warm when running. Wicking is similar to the black diamond hat I used previously. Definitely recommend! My kids love their moon hats! It is so wonderful that they are having fun in style and learning.